Sometimes, you need extra scrubbing power. 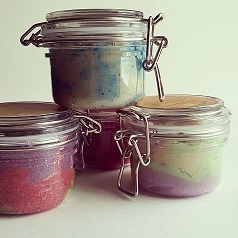 Try our sugar scrub with clay and natural exfoliants to clean and smooth that skin! Packaged in a reusable PET bail jar!